Officially this was taken on March 20th, not on the actual date NASA states for the perigee moon, or super moon! Since the moon was so bright I used two exposures but no other trickery – I simply merged the two. 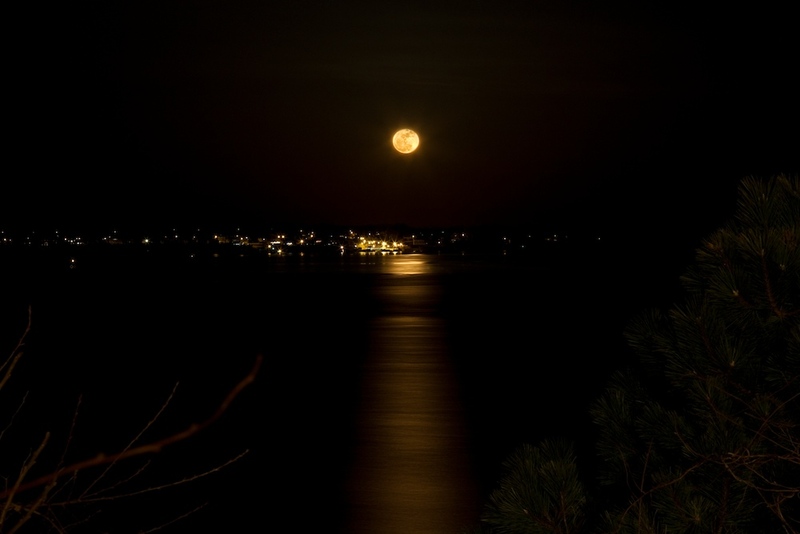 The top one was taken from the Eastern Promenade in Portland ME looking out to Peaks Island. Once the moon rose L & W understood then why we were out so late. Neat to see even if it was a bit smaller the next day. I did take a photo (below) of the actual perigee moon but it wasn’t very interesting just looking up at the orb.